We Re-manufacture Turbochargers. Machine Special Applications and all Turbocharger needs. Supply New Units. Remove and Fit Turbochargers and related services including vehicle servicing. Technical and vehicle problem solving information. 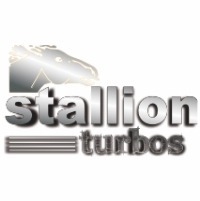 Free expert advice of most common turbo installations. Diagnostic system check with the latest upgraded computer software. Reconditioning of Turbochargers (Specific Part replacements including compressor wheels, Turbine Shafts, Kits, Back Plates (Seal Plates), Complete Core Assembly Replacements, V.N.T’s, REA’s, Actuators, Waste Gates, Compressor Housings, Turbine Housings) , including Core balancing, flow-bench calibration and REA calibration. Sales of New and Reconditioned Turbochargers. Optimisation of most popular commercial vehicles. Full-house services, including vehicle servicing.